Okay, this will be a post about software development, but I’ll try to avoid using jargon in explaining the impact of yesterday’s release of Qt 4.5. So first of all, what the hell is Qt? Well, it’s a software library that allows programmers to easily write programs that run on Mac, Windows, Linux and even cell phones. If a developer want their code to run on all these platforms without using something like Qt, it often means man-years of work, and platform-specific oddities can arise, such as Adobe not having a 64-bit version of Photoshop on the Mac (because they use Code Warrior’s PowerPlant on the Mac, which is no longer supported except as an open source project). Qt is also an extremely powerful and fast library, which is not often the case for these kinds of things. Ok, so what’s the big deal with version 4.5? release your application’s source code to the public under the “Gnu Public License” (GPL), making it Free Software, or.. 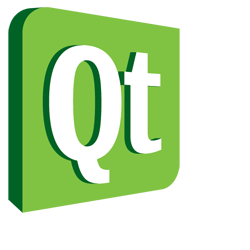 But yesterday for the first time, Qt is available under the terms of the “Lesser Gnu Public License” (LGPL). This license allows developers to use Qt, and not release the source code for their program, and not have to spend thousands of dollars a year. That’s enough for now. My compile is finished. I may come back and add more later. Tags: development, nokia, open source, qt, software. Oh ya, this will have a wide audience..
in hopes of helping others use this very useful tool. Tags: c++, development, gcc, gdb, mac, stl.